House Democrats are tired of coming to Raleigh for special sessions. “It’s very tough to come back here over and over again,” said House Minority Leader Darren Jackson, adding that it’s tough on their careers, families and taxpayers, who have to pay roughly $50,000 per day for lawmakers to meet. The North Carolina General Assembly met Wednesday for its third special session since the conclusion of the regular long session at the end of June. They voted earlier today to override House Bill 56, an environmental measure, and plan to take up judicial redistricting tomorrow. Jackson said Democrats are also preparing to take up principal pay and gubernatorial nominees to boards and commissions. He added that in the wake of the recent Las Vegas mass shooting he wished lawmakers would take up good gun control measures North Carolina Democrats had already filed. 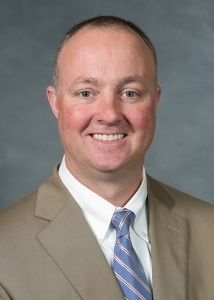 Jackson and other lawmakers spoke about their opposition to House Bill 717, a measure House Republicans are pushing that remakes North Carolina’s judicial and prosecutorial maps. He said North Carolinians expect their judges to be nonpartisan and that the maps are an attempt to rig the courts in Republicans’ favor. Rep. Joe John (D-Wake), Rep. Duane Hall (D-Wake) and Rep. Marcia Morey (D-Durham) also spoke against HB717, which will be taken up in a rules committee this evening. “Everything we need has not been provided with this bill,” Morey said.